Whether you are writing your first piece or your first symphony, we've got a manscript paper that will suit your needs - big, small, wide or tall, cheap and functional, or beautifully presented. We've got selections from Faber, Cramer and Novello, with a variety of designs for all ages and tastes. For those wanting to document their progress towards virtuosity, or teachers wanting to know if their pupils have really done their homework, a music practice notebook is a must, and we stock all the major editions. 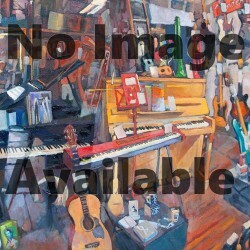 Music Manuscript Paper & Practice Notebooks There are 37 products. 32 A4 Pages. White Paper. 32 A5 Pages. White Paper. A5, Landscape, Wide-Stave. 32 Pages. A4 Size. Portait. 12 Staves. 24 Double Sided Sheets (48 Pages). Perforated Margin. Musician’s Union Practice Diary is a must-have practice diary for all instrumental and singing teachers, based on Paul Harris’ renowned Simultaneous Learning strategy (which develops musical insight by making connections between all aspects of musicianship). Welcome to a new way to think about practising! NOT PRESENTLY AVAILABLE White Paper. 50 Double Sided Sheets (100 Pages). Tear Off Pad. 12 Stave. 32 Pages (Double Sided). Stapled Book.